Mr & Mrs Penguin have an £800,000 estate consisting of their home and some savings and investments. They want to ensure that their children and grandchildren, and ONLY their children and grandchildren can benefit from these assets. 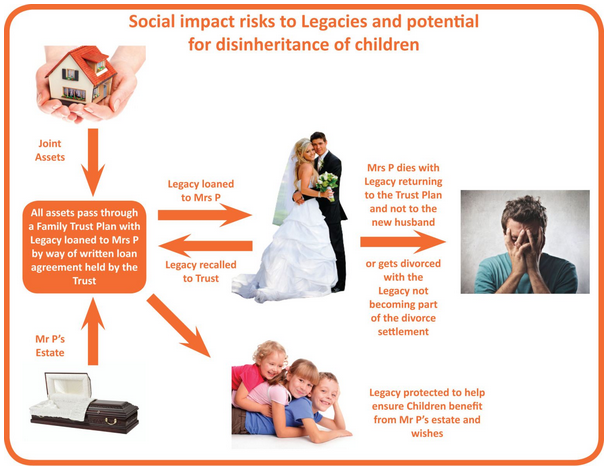 Consider the following situation where a legacy left to Mrs P with 2 children following the death of Mr P, with a total value of £800,000. Mrs P subsequently remarries but then dies leaving everything to the new husband. Potentially the new husband could walk away with the whole £800,000 and the 2 children could be left with NOTHING! 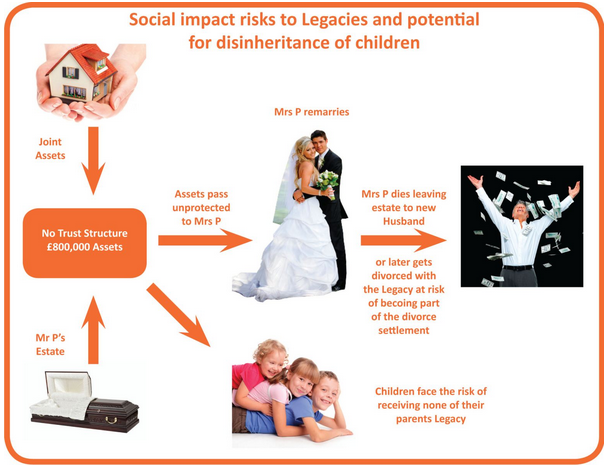 With the benefit of a Penguin Tax Planning Family Trust Structure the legacy becomes protected against the social risks and potential disinheritance of the children. Whether it be through death or subsequent divorce of Mrs P, under this example the Family Trust would look to recall the legacy. This would help to ensure its bloodline protection, passing it on to support the children which no doubt would have been Mr P’s dying wish. The trust will ensure that once Mr & Mrs P have gone the money is ring-fenced from the things that may go wrong in their children’s and grand children’s lives such as future divorces, separations and future Inheritance Tax. People who die without a valid will, or intestate, leave costs and complications to their loved ones and often lose thousands of pounds to the State in what may be avoidable Inheritance Tax (IHT). The Law Society says that anyone with assets and family or friends should make a will, regardless of their age. It is especially important if you are not married to your partner, because the law does not accord partners the same automatic rights of inheritance as spouses. Under the current intestacy rules, an unmarried partner has no rights to any assets that were not jointly owned. Making a will is also vital if you have children, as you can nominate guardians to care for them.